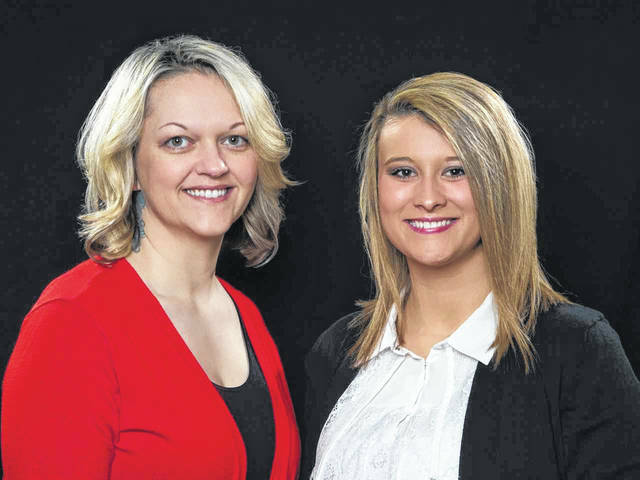 The staff at the Gallia County Chamber of Commerce includes Executive Director Elisha Orsbon, at left, and Associate Director Paige James. James has been working at the Gallia County Chamber of Commerce since in June 2018. In September, she accepted the position of associate director. James is a native of Gallia County, a graduate of South Gallia High School, and a member of the French City Society. She and her husband, Seth James, are the parents of two daughters, Paislee and Raelynn, and are expecting a son in July. Orsbon obtained her Bachelor’s of Social Work in 2014 from the University of Rio Grande. She joined the Chamber staff in April 2016 as an assistant. In September 2016, she was named the associate director and accepted the executive director position in June 2018. She holds an executive board position for the Gallipolis Junior Women’s Club and is a member of the French City Society. Orsbon has two sons, William and Lincoln, and one daughter, Briella. The mission of the Gallia County Chamber of Commerce is to promote, support, and strengthen business and economic development. The Chamber is constantly seeking new ways to connect businesses, organizations, and the community. If interested in Chamber membership or have new ideas or ventures to share, contact Orsbon or James at 740-446-0596. Submitted by the Gallia County Chamber of Commerce.